Darpa spent years backing research that could shore up the nation’s cyberdefenses. “Plan X” is part of a growing and fairly recent push into offensive online operations by the Pentagon agency largely responsible for the internet’s creation. In recent months, everyone from the director of Darpa on down has pushed the need to improve — and normalize — America’s ability to unleash cyberattacks against its foes. But it is certainly a complementary campaign. A classified kick-off meeting for interested researchers in scheduled for Sept. 20. The American defense and intelligence establishment has been reluctant at times to authorize network attacks, for fear that their effects could spread far beyond the target computers. On the eve of the Iraq invasion of 2003, for instance, the Bush administration made plans for a massive online strike on Baghdad’s financial system before discarding the idea out of collateral damage concerns. It’s not the only factor holding back such operations. U.S. military chiefs like National Security Agency director Gen. Keith Alexander have publicly expressed concern that America may not be able to properly respond to a national-level attack unless they’re given pre-defined battle plans and “standing rules of engagement” that would allow them to launch a counterstrike “at net speed.” Waiting more than a few moments might hurt the American ability to respond at all, these officers say. The ability to operate in dangerous areas, pull potential missions off-the-shelf, and assess the impact of attacks — these are all commonplace for air, sea, and land forces today. 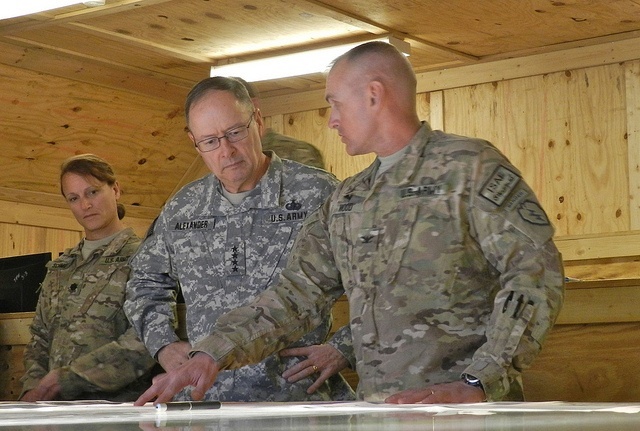 The goal of Plan X is to give network-warfare troops the same tools. “To get it to the point where it’s a part of routine military operations,” explains Jim Lewis, a long-time analyst of online operations at the Center for Strategic and International Studies. Of course, many critics of U.S. policy believe the deployment of cyberweapons is already too routine. America’s online espionage campaign against Iran has been deeply controversial, both at home and abroad. The Russian government and its allies believe that cyberweapons ought to be banned by international treaty. Here in the U.S., there’s a fear that, by unleashing Stuxnet and other military-grade malware, the Obama administration legitimized such attacks as a tool of statecraft — and invited other nations to strike our fragile infrastructure. The Darpa effort is being lead, fittingly, by a former hacker and defense contractor. Daniel Roelker helped start the intrusion detection company Sourcefire and the DC Black Ops unit of Raytheon SI Government Solutions. In a November 2011 presentation (.pdf), Roelker decried the current, “hacker vs. hacker” approach to online combat. It doesn’t scale well — there are only so many technically skilled people — and it’s limited in how fast it can be executed. “We don’t win wars by out-hiring an adversary, we win through technology,” he added. Instead, Roelker continued, the U.S. needs a suite of tools to analyze the network, automate the execution of cyberattacks, and be sure of the results. At the time, he called these the “Pillars of Foundational Cyberwarfare.” Now, it’s simply known as Plan X.